This is an interesting article from Kiwi’s Sunday Star Times. 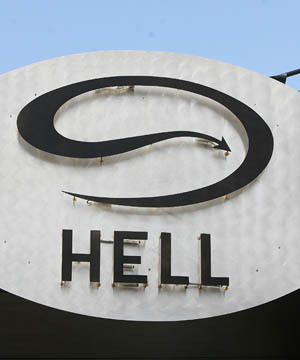 Journalist Greg Ninnesson reports in Marriage made in Hell for upset pizza franchisees that some of Hell Pizza’s franchisees are not pleased with the new mandatory supply arrangements. No wonder: A monopoly is bad for the whole economy because it leads to inefficient allocation of capital and unjustified profitability [economic rent] based in deceit. A meeting of several dozen franchisees held in February expressed dissatisfaction with the supply arrangements for their ingredients and other goods. Previously, each franchisee bought ingredients such as flour, cheese, meat and vegetables directly from independent suppliers on a contract basis. But in February, TPF set up its own supply and distribution operation and its outlets were required to buy most of their ingredients through that. The franchisees were concerned about the transparency of the new supply arrangements and the effect it could have on rising food costs. Maybe forming an independent franchisee association would be a good first step. But you better chip in a few $1,000 each [to start] for the best franchisee-only lawyer you can find. Kickbacks, listing fees, volume discounts, co-op $, etc. are a beautiful thing to behold: If you are the franchisor. Were you promised that volume buying through a franchise would actually save you money?